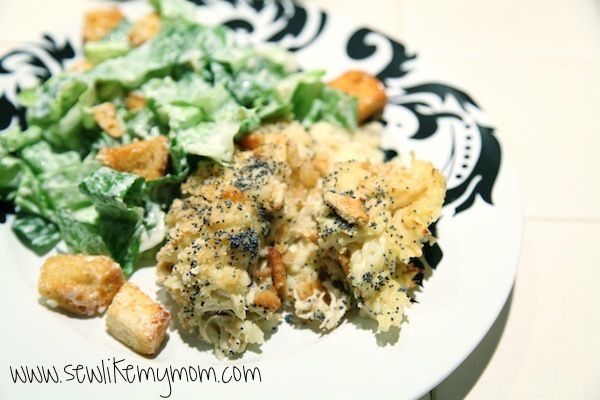 So you all know I learned to sew like my Mom (hence the blog name), but did you know I like to cook like my Mom, too?! My Mom comes from a long line of amazing women who sew, cook, and create with the best of them, and I adore that she’s helping me pass along the inherited traits to my children. 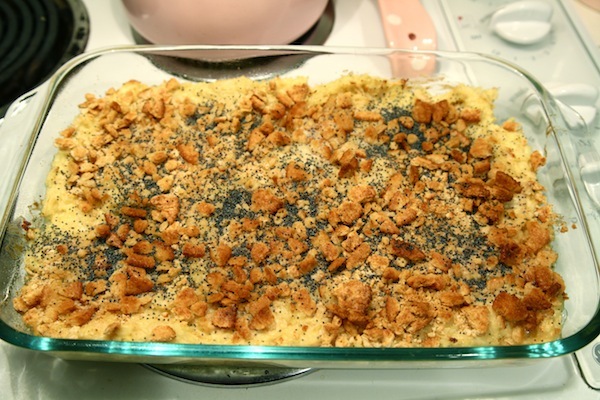 When the weather gets cold and I crave the comfort food of my childhood, nothing beats my Great-Grandma’s Poppy Seed Chicken. 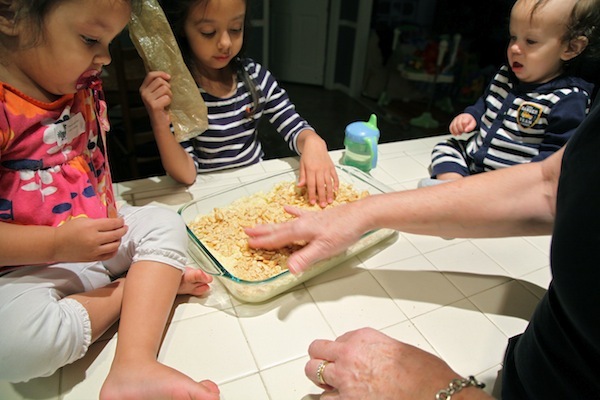 She taught the recipe to my Nana, who taught my Mom, and on and on it’s been passed through our family. There’s a dozen or more ways you can customize this fast and easy recipe to tailor to your family’s likes (or to cleverly hide some veggies!). We lucked out because the day I planned to make this, Grammy came up for a visit! How perfect for passing on a family recipe, right? So we grabbed the ingredients and got to work. Boil the chicken. You can do it plain, but I like to add garlic, onion powders and some chicken bullion to my water. 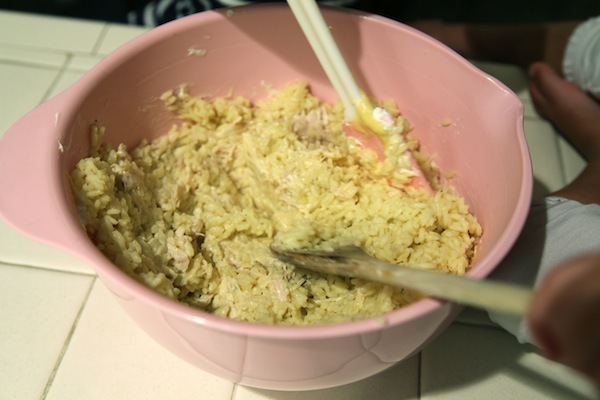 Remove the chicken to cool, and cook rice. 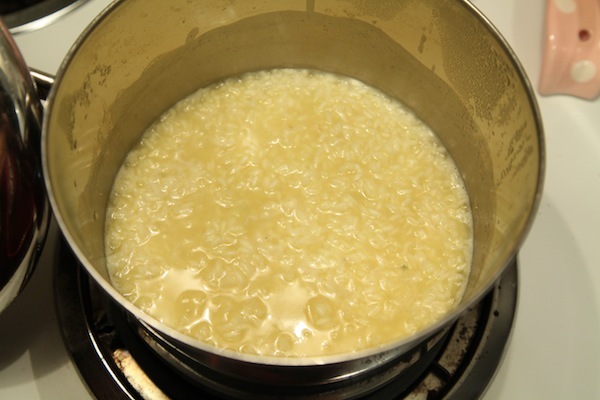 I like to use the water from my chicken to make the rice–it gives it extra flavor! 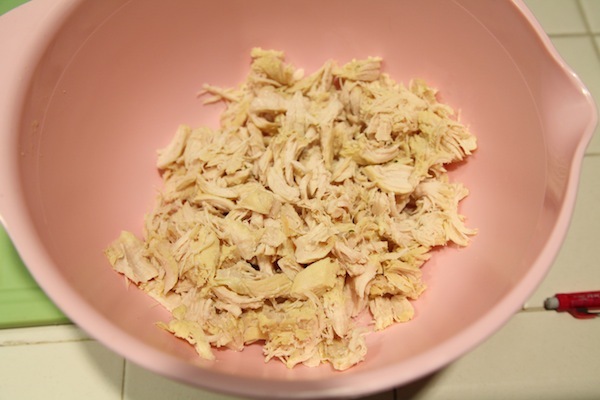 Once the chicken is cool enough to handle, shred and place in a bowl. 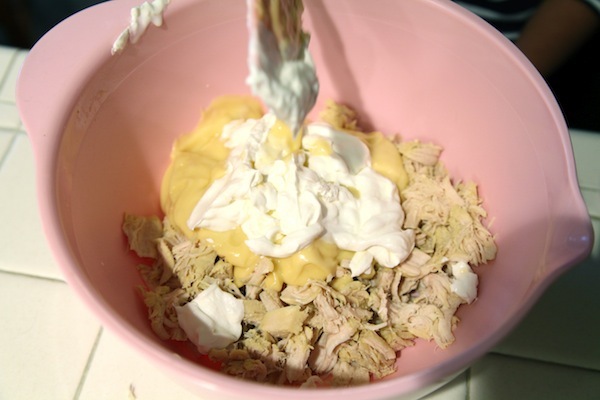 Add the can of Campbell’s soup and sour cream, and stir. It’s more fun if you enlist help for the stirring! When the rice is cooked, add it to the bowl and stir to incorporate. 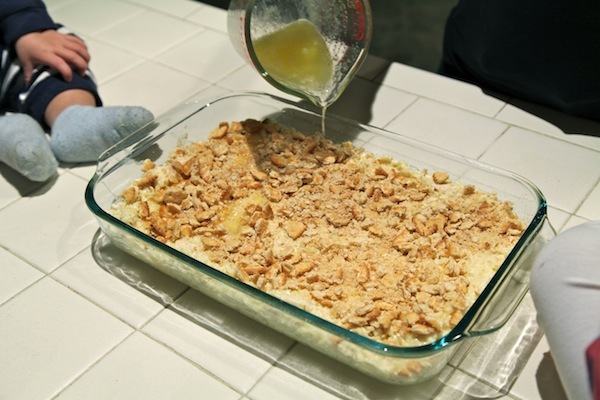 Place the mixture in a 9×13 casserole dish. 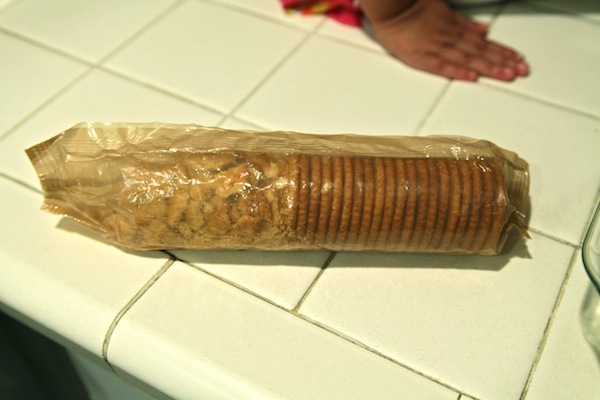 Crumble a sleeve of Ritz crackers and sprinkle on top. We’ve also used Goldfish and the kids love it! But nothing beats the buttery flavor of Ritz. 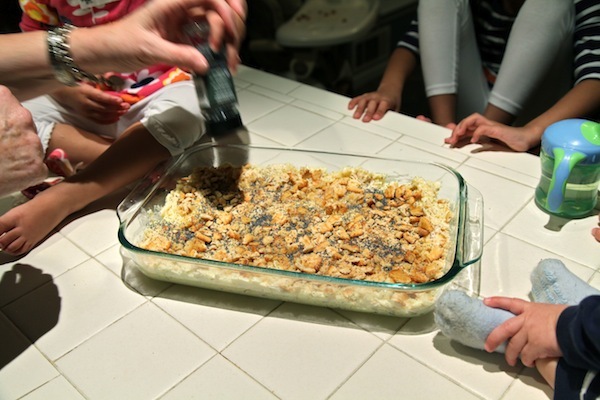 Mom taught us long ago how to crumble in the sleeve to save time and mess! Drizzle the top with melted butter and shake on poppy seeds. Bake in a 350 degree oven for about 30 minutes, or until the crackers brown and it’s heated through. This recipe freezes beautifully and is a welcome change from lasagna when sharing a casserole with friends. You can leave out the rice, add in broccoli, spinach, corn, whatever you’d like, to change it up. 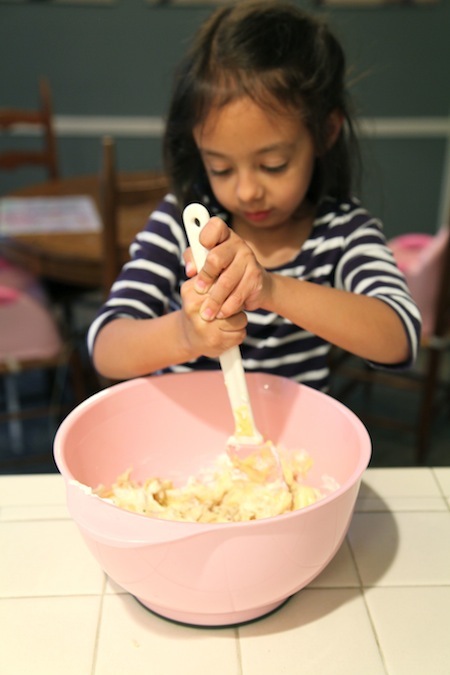 Kids’ tastes vary so this is a great, stress-free way to feed them without hassle. 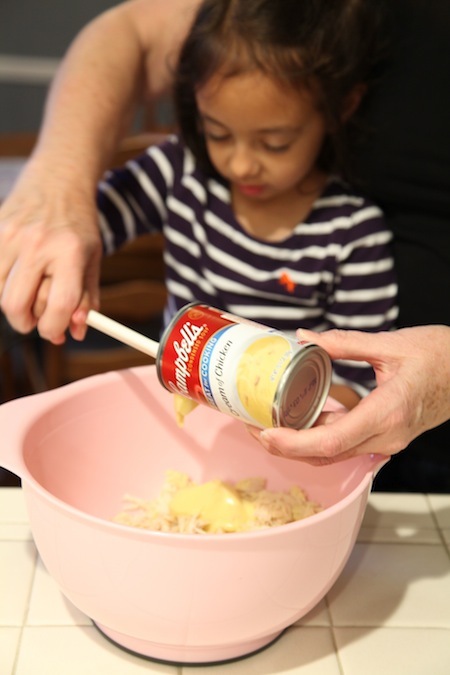 Through their recipe destination, Campbell’s gives you a fresh way to delight your family (new, kid-friendly recipes like Mini Chicken Pot Pies, and fun ways for your kids to eat Tomato soup). So, what are you waiting for? I promise, you’ll be glad you didn’t skip this one! 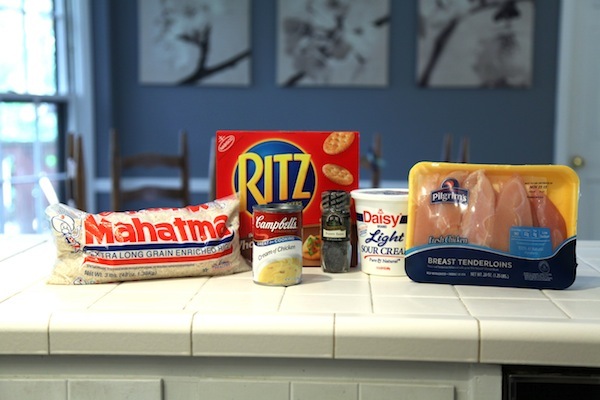 **I received compensation for writing this post, but the recipe, and all opinions, are totally mine!